I love the beginning. Here at the 2018 starting line, everything is fresh and possible again. We stand with renewed vigor and resolve – let’s do this thing! We stand with gratitude for all the experiences of 2017 – the good, the bad, and the surprising lessons we learned. We are so grateful to all of YOU for your good words, for caring about this art we’re making, for finding the spark in it that lights your own fire. We really would not – could not – do this without you, our patrons, our fans, our friends, our road family. We wish for you in 2018 all that you desire. Begin. Be brave. We’re delighted to announce that we’ve joined forces with The Standing O Project! This is a new music streaming platform endorsed by Folk Alliance International that is providing hope for musicians like us through FAIR TRADE MUSIC STREAMING. Don’t know what that is? Watch this little video and find out. What is Fair Trade Music Streaming? Bottom line, we directly benefit from when our fans subscribe. Stream the music you love and feel good about it. Thank you! 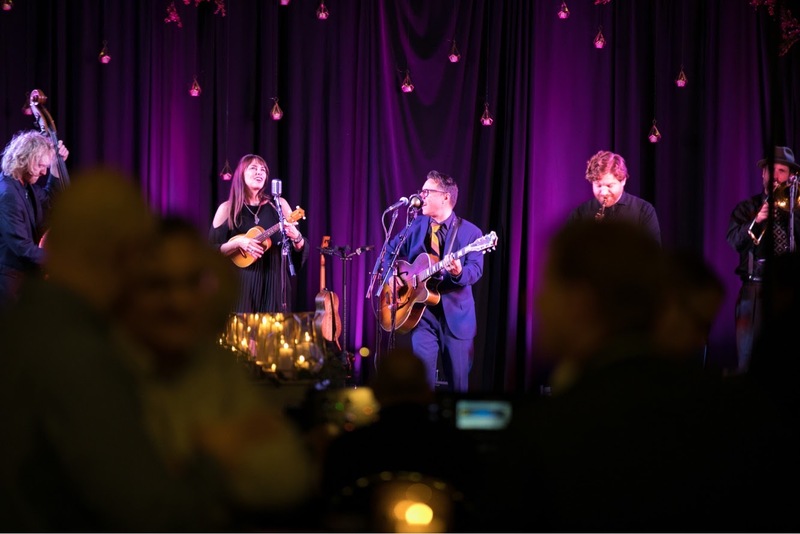 Victor & Penny and their stellar Loose Change Orchestra return to Green Guitar Folk Housefor a night of class, joy, and soaring musical improvisation in one of Kansas City’s best listening rooms. Beer, wine, desserts and other goodies available for a small donation. Green Guitar Folk House events are held in the Shawnee Mission Unitarian Universalist Church. The venue is sponsored by SMUUCH, but is not a church event. The series is open to the public. Ample, free parking is available. More news coming soon – until then: GO FOR IT. You can do this! It’s a jump roots swing soul jive blues party in KC! © 2019 V&P Productions, LLC.